Alabama-based indoor mapping solution provider GeoMetri has a big announcement: it’s being acquired by Acuity Brands, a North American company and one of the world’s leading providers of indoor and outdoor lighting and energy management solutions. GeoMetri was part of the Esri Startup Program, and received free access to essential mapping technology that supported the company’s business vision and growth. With its success, GeoMetri is now transitioning to the Esri partner program. 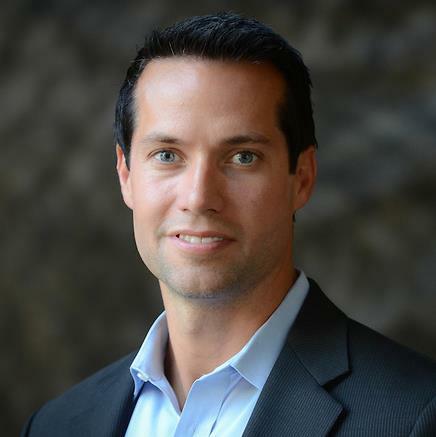 Esri’s Katie Decker sat down with Michael Healander, founder of GeoMetri and now vice president of business development at Acuity Brands. They talked about the history of GeoMetri and its platform, the acquisition, and future influence geographic information system (GIS) technology will have on Acuity Brands to evolve into an integrated enterprise IT solution provider. Decker: Can you tell us a little about yourself, how you got where you are today? 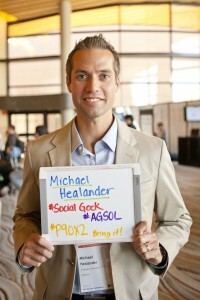 Healander: My journey to the present day has been influenced by great people, mentors and technology partners. I started my GIS career back in 1998, when I took my first ArcInfo class at Eastern Michigan University. I have to thank Dr. Yichun Xie for getting me into GIS and being a great mentor within the GIS program. He had great enthusiasm for GIS and Esri technology and how it is a huge problem-solving tool. His passion for spatial location technology rubbed off on me. Over the past 17 years, I have held 13 different jobs. This has allowed me to sample all parts of the GIS industry and skill sets. I started in 1999 at Consulting Engineering Associates, Inc. [CEA] where I spent eight years as a state and local government consultant. While at CEA, I learned the most from my dealings with clients. Sally Price, GIS coordinator, and the team at the City of Southfield, Michigan, stand out as a major influence on my journey. The city was a progressive and cutting-edge implementer of GIS and Esri technology. I was able to push the limits of GIS to solve the city’s problems through location technology. In 2008, I joined Geographic Information Services, Inc. [GISi) and was given the opportunity to start my own state and local government practice. GISi is big on entrepreneurship, so after the state and local government group grew by 500 % in the first two years, I was given the opportunity to focus on helping the company diversify into new sectors. Being part of an Employee Stock Ownership Plan [ESOP] company, I was able to create ownership and accountability within the organization. I was truly influenced by all the great people I worked with and for. Esri played a big role in our growth too, and our amazing relationships and alignment on products within each vertical made for great business. In July of 2015, Lee Lichlyter, the former CEO of GISi, and I were given the opportunity to spin off GISi Indoors into a new startup called GeoMetri. Lee took on the role of CEO, and I, the founder and chief revenue officer [CRO]. The acquisition by Acuity will complete the latest chapter in the creation of my vision for a startup business. Decker: Tell us about the experience of going from startup to acquisition. Healander: It started with several of us proving our technology and progressed to a business research initiative, then to an internal venture with GISi. Those early days were truly a startup effort as close to a couple of guys in a garage as any of us will ever get and I owe a lot to Danny Bradshaw, Chris Bupp, and Christopher Fricke. Then the business became real, with revenue and customers and all that goes with it. As GISi Indoors matured, so did the product line, the code base, and expectations. We were an early player in an early market. Unpredictability should have been expected. We certainly experienced it! Despite the challenges, we kept plowing forward and were gifted with the opportunity to spin off as a separate company. I say “gifted” because it was a gift. This gift challenged us all, staff, partners, and customers. It led us to where we are today: having the chance to be a major player in this still-young space of indoor positioning. This deal is good for everyone: our GISi employee-owners, Acuity Brands, our value added reseller [VAR] Esri, and customers. I look forward to sharing stories from the fund-raiser trials and tribulations. We were focused on raising capital, but with the offer and resources we now have, we will truly be able to see our vision for the business on a whole new scale. We couldn’t have achieved our success without the great mentorship of my partner, colleague and friend, Lee Lichlyter. Thanks for taking a leap of faith with me! Decker: What does the GeoMetri platform provide? Healander: The GeoMetri platform provides the foundation for making buildings and businesses location aware. The mapping tools help identify, measure, and visualize pedestrian foot traffic. They also optimize indoor and outdoor venue floor plan information so that occupants can search for and navigate to points of interest using a smartphone. The spatial and statistical engines are designed to be flexible, easily customizable and be used with existing and emerging technologies. Components of the platform include GeoMetri Navigator, Enterprise Analytics and Asset Tracking, as well as partner solutions. They give customers real-time visitor analytics, indoor navigation capabilities, and visual maps to analyze visitor movements while in progress. All application protocol Interfaces, software development kits and solution frameworks are accessible to users and are flexible to let clients adapt these technologies to suit their challenges, venue types, and use cases. Decker: What made you decide to get into mapping, navigation and analytics? 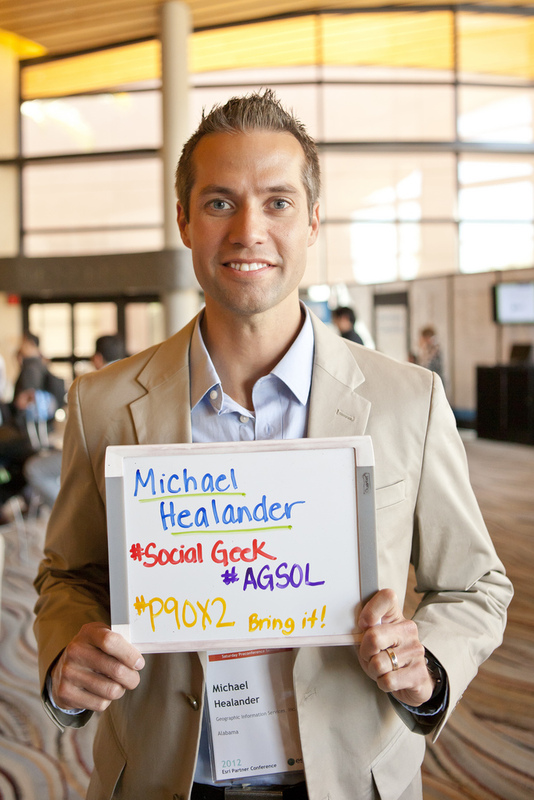 Healander: As part of GISi’s ESOP, I was lucky enough to be appointed to emerging technology general manager, with goals to identify new markets and generate revenue streams where emerging technologies are creating opportunities outside traditional markets. I helped develop capabilities that could be incubated into market-facing business groups while supporting GISi’s brand position as an innovator. We used the Lean Startup methodology to test a portfolio of new technology and business ideas. These included indoor [mapping solutions], drones, vertical reality, geo-gaming, and more. We had fun with it and started a business in Geo-Gaming. You can still find the app in the App store “Tag You’re It; Zombies”. Needless to say, it failed on the revenue side. After building several more Minimum Viable Products [MVP] and running some tests on the market along with some market research, the GISi board approved funding for GISi Indoors. We added Danny Bradshaw & Chris Bupp to the team and launched GISi Indoors at the 2013 Esri User Conference with a set of two MVP products [Navigator and Analytics]. Three years later, that same group is still together today and has joined the Acuity Brands team. Decker: Tell us more about Acuity Brands, the company that acquired GeoMetri. Healander: Acuity Brands, Inc. helps retailers deliver a tailored, mobile-enabled omnichannel shopping experience to their customers. The company is one of the world’s leading providers of indoor and outdoor lighting and energy management solutions and, in fiscal year 2015, had net sales of $2.7 billion. The company currently employs approximately 9,000 associates and is headquartered in Atlanta, Georgia, with operations throughout North America, Europe, and Asia. Decker: What added value or competitive edge will you receive from the acquisition? 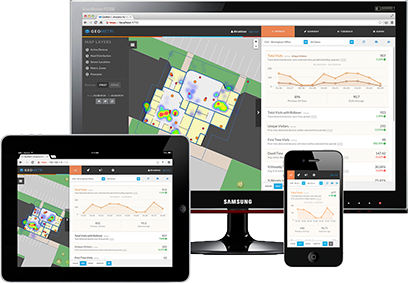 Healander: The acquisition adds advanced indoor mapping and navigation capabilities to the ByteLight indoor positioning technology solution from Acuity Brands. Indoor positioning also can be deployed to optimize and increase understanding of how occupants interact within large-scale indoor environments. Decker: How do mapping software, and, in particular, ArcGIS help your company’s capabilities? Healander: Our indoor capabilities, together with the ability to provide mapping for surrounding outdoor spaces, create new opportunities for data analytics. These opportunities can lead to operational efficiencies, enhanced safety, and increased revenues in spaces such as airports, shopping malls, logistics centers, universities, and health care facilities. Many of GeoMetri features use Esri’s ArcGIS platform. For example, we use ArcGIS for desktop to configure and publish search and floor plan maps to ArcGIS Online or ArcGIS for Server. We also use ArcGIS Network Analyst and ArcGIS 3D Analyst for managing and publishing simple or complex indoor, turn-by-turn routing algorithms for GeoMetri Navigator. Decker: What are your goals, now that the acquisition is complete? Healander: Acuity’s president and CEO, Vernon J. Nagel, recently commented that GeoMetri technology brings a key component into the digital lighting platform. I agree that we are augmenting Acuity’s positioning services, which now include over 10 million square feet and 150,000 visible light and Bluetooth® beacons managed within Acuity’s cloud infrastructure. This platform will help our clients optimize their business performance through a holistic solution that also allows them to connect with their customers. Decker: What is your vision for indoor location GIS? Where do you see the market in five years? 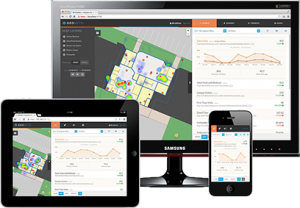 Healander: Indoor location GIS will soon be grouped into the Internet of Things [IoT]. As our indoor location services are being plugged into buildings, it’s becoming the platform for mapping, analyzing, tracking, and locating things. And there are a lot of things moving around in buildings and venues. Each industry will have its own set of use cases and revenue opportunities, and most will need real-time indoor location data to help solve them. Decker: What would you recommend to new tech founders who are new to GIS? Healander: Training! I see many new companies writing spatial tools that already exist or are sitting in a toolbox waiting to be configured and published. Instead, they should invest in just a couple of weeks of Esri training. Then these companies would have the ability to use the Lean Startup – Build, Measure, Learn process much more efficiently.